The office/home school room/music room has gone under another makeover. Back in March of last year I started getting the room ready for home school. 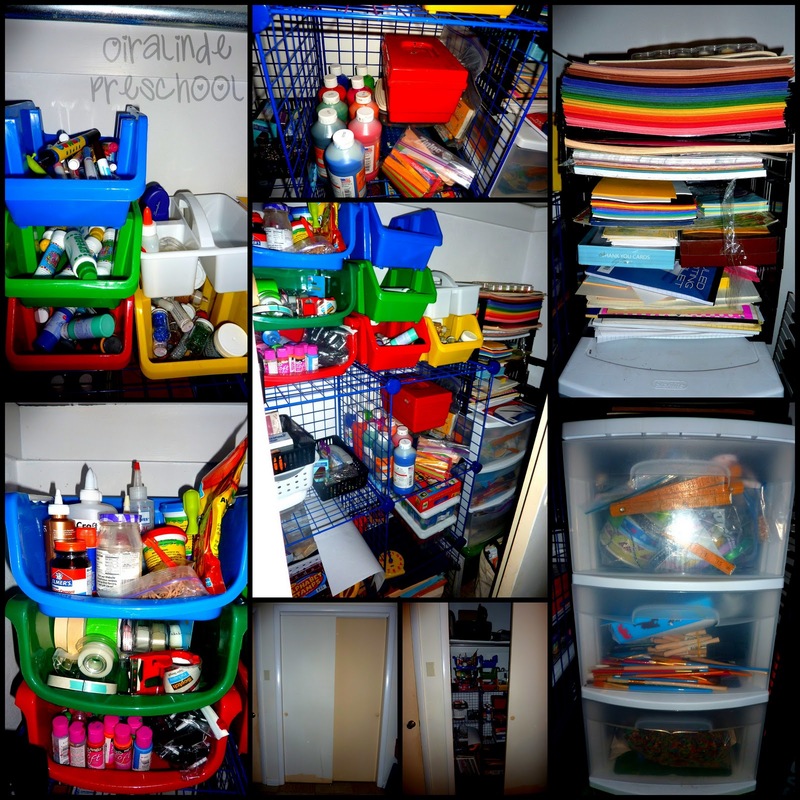 Last week I had an organizational burst of energy and redid the room. We bought a shelf unit for next to the piano, and we put an organization cube in the closet for all our home school supplies. This room is still a work in progress, but every time I reorganize it, I get it one step closer to the way I want it. I figure I will finally get the room the way I want it and then we will be selling it. A panoramic view of the office / music room / home school room. 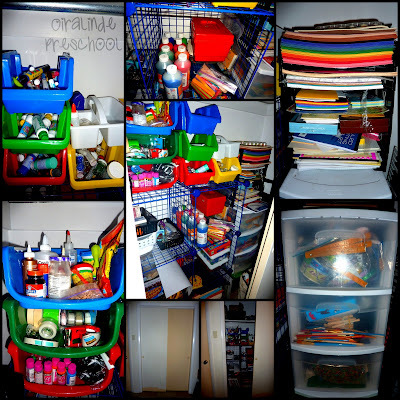 The 5-tier shelf next to the piano holds music, scrapbooking materials, and misc. items in the cloth tubs on top. My favorite part is the closet. I love being able to close the doors and not see all that paper, glue, markers, crayons, etc. out. It is like I have my own art room in my house!